Gosainkund Lake is one of Nepal’s most famous religious and pilgrimage place of Shamans and Hindus, situated at a height of 4380m, encircled by high mountains on the north and east. This lake is splendid and scenic. Each year during Janai Purnima (August Full Moon day), thousands of Hindu pilgrims come here for blessings. The large rock in the center of the lake is believed to be the head of lord Shiva. 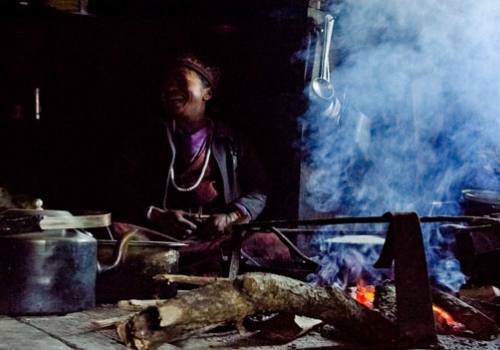 Shamans ("Dhami or Jhankri") are called Bon-Po in Tamang language, a different pre-Buddhist sect, and come from all over Nepal to the lake, to be there on full moon night. 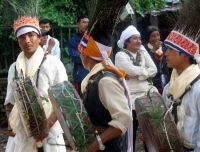 Shamans perform spiritual dancing and singing during the ceremony and this day is considered holy by the shamans, whereby apprentices or "junior Jhankris" obtain graduation from their masters or senior shamans. 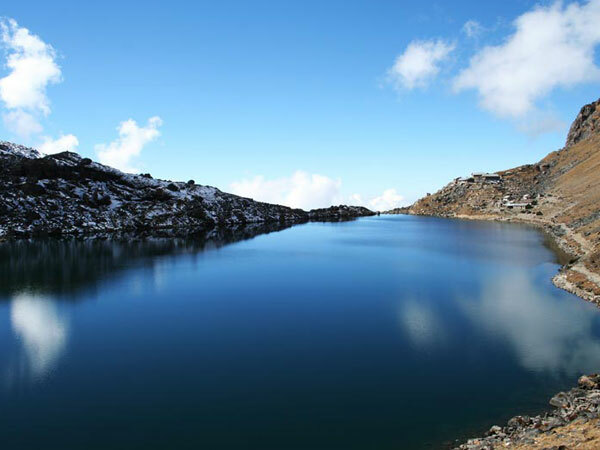 Legend says; Lord Shiva created this high altitude lake when he pierced a glacier with his trident to get a water to quench is thirst from consuming some poison. 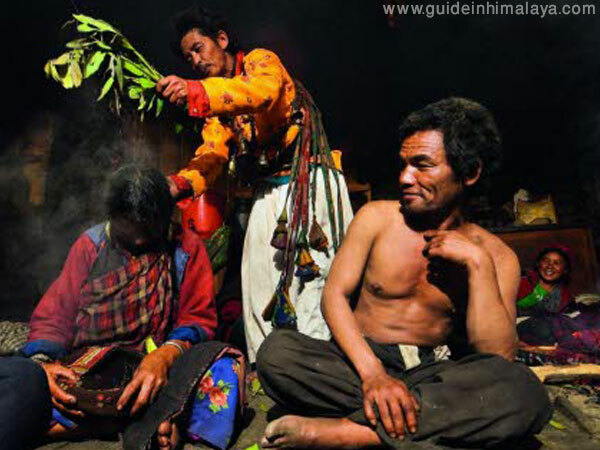 On this day, you can take shaman’s healing and other spiritual practices. Joining the Gosainkund Lake full moon festival means, your trek almost becomes like a pilgrimage, watching all the activities done by local people, Hindu and Buddhist visitors and the Shamans. 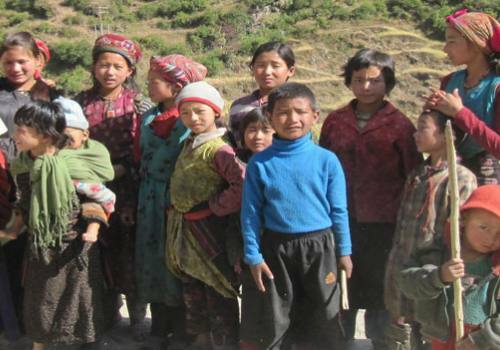 The Guide in Himalaya offers this trek to all our valuable clients. 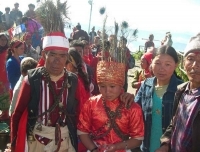 The major attraction of this trek is Holy Gosainkund Lake, Naagkund, Bhairabkund, typical shamans dance during the full moon in August, unique and long-established Tamang Culture and Excellent Himalayan scenery. Pick you up from your Hotel in Kathmandu and drive toward Dhunche. The road is fairly smooth until getting Trisuli Bazaar through the terraced fields and Villages and we will take the lunch there. After lunch, the road goes through scenic valley until reaching large Tamang settlement of Dunche. 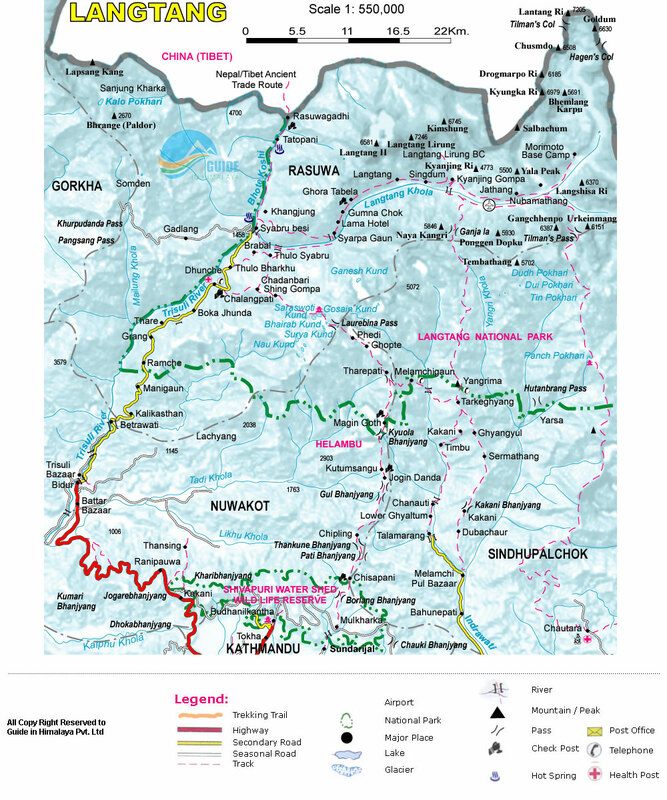 We will check in our Langtang National Park Permit near the Dunche. We can see Langtang Lirung and other peaks from Dunche in clear weather. After arriving in Dunche, we will have a walk around to explore the village. Stay overnight in Lodge. 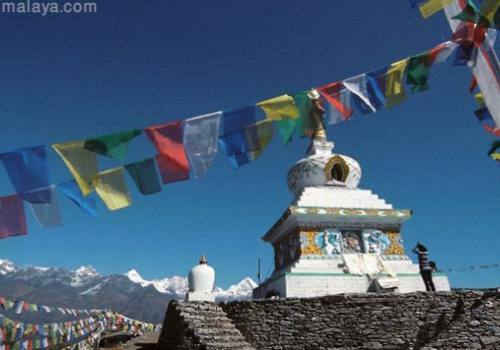 Day 02:Trek to Shing Gompa on (3250m) 4-5 hours. After breakfast, we leave the village and follow the trail passing the terraced potato fields and cross a small stream by a wooden bridge to the opposite bank. Now the trail becomes steep ascent through the forests and climb up the cliff like a flank and commanding a view of the rocky mountain of Gosaikund deep in the valley. We are gaining a high elevation each step and will come to a wide flat area. We will have our lunch there. After lunch, we continue again steep ascent on a ridge with Rhododendrons. This steep ascent will be over in a while and join to the path coming from Kyanjin Gompa. 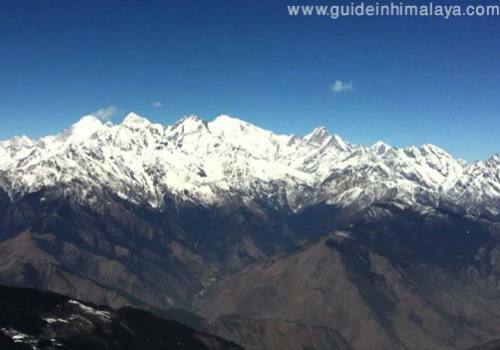 After we come to a flank with bare trees and short ascent, we will arrive in Shing Gompa. There is small Cheese Factory and Old Buddhist Monastery which we will visit in the evening. Stay overnight in Lodge. 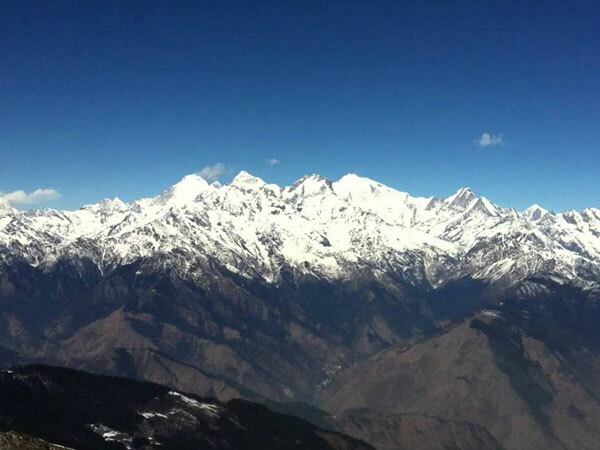 Day 03:Trek to Gosaikund (4380m) 3-4 hours. 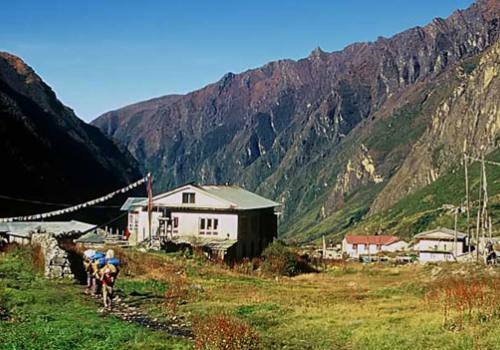 After breakfast we follow the trail that gently ascends the mountain flank with bare trees and cross over the ridge passing the side of the Langtang Khola and going through a forest full of moss and ferns. We follow the edge back to the ridge and reach in Cholangpati from where we can see the Langtang Lirung and Ganesh Himal, afterwards the view opens for Manaslu, Himal Chuli and Annapurna Himal behind of us. The trail goes passing prayer flags above and gets in Lauribinayak. After lunch at there, the wide trail on the ridge continues further even after Lauribinayak and the ascent comes laborious. We keep climbing towards the rocky mountains of Gosaikund and the ridge becomes a narrow rock ridge until reaching third Lake Gosaikund passing the first Lake Saraswoti Kund and second Lake Bhairav Kund. On the Gosaikund Lake, there is a Shrine in which a lingam symbolizing Shiva is kept and revered. Gosaikund Lake is a site for the great pilgrimage in August each year. Stay overnight in Lodge. 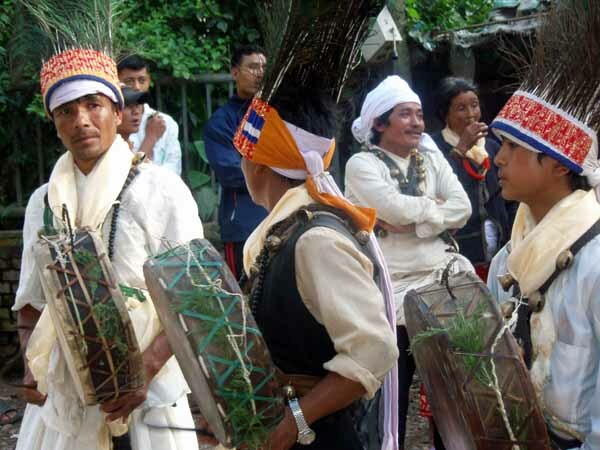 Exploration or observation day for shamanistic dances and spiritual songs as well as activities of local people and other devotees/pilgrims. Stay overnight in Lodge. Day 05:Trek down to Sing Gompa (3250m) 3-4 hours walk down. After breakfast, start walk down the rocky mountains of Gosaikund until reaching Lauribinak. After lunch at Lauribinayak, we keep descending to a ridge until reaching Shing Gompa viewing the spectacular mountains. Stay overnight in Lodge. Day 06:Walk to Dunche/2030m, 4-5 hours. We start out trek after having breakfast. We climb down all the same way back to Dunche. Stay overnight in Lodge. Drive back to Kathmandu in the morning after breakfast, we will have lunch in Trisuli and after lunch, continue drive back to Kathmandu drive through smooth road passing beautiful landscape and terraced fields and transfer to Hotel. Free airport-hotel-airport pick up ad drop by car or van. 3 nights accommodation with breakfast at standard hotel in Kathmandu with breakfast. 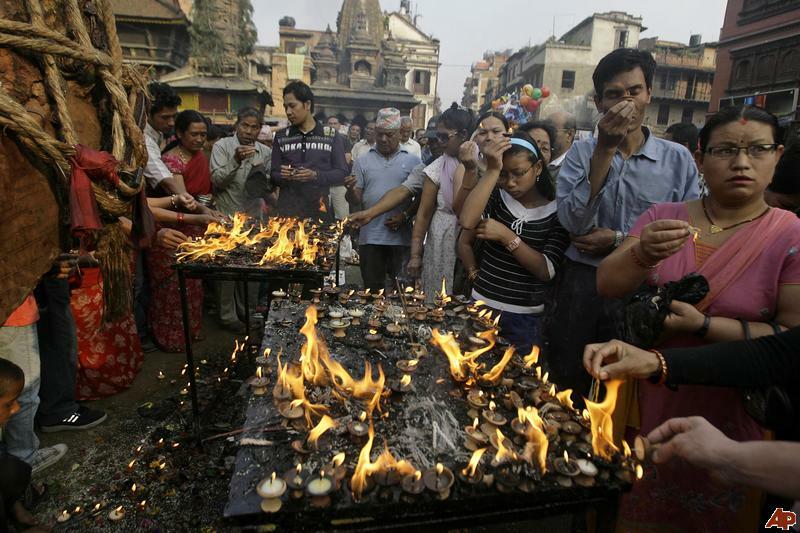 Kathmandu city tour as per the above itinerary with tour guide and private car. Meals (breakfast, lunch and dinner) with Tea and coffee and hot water during the trek. 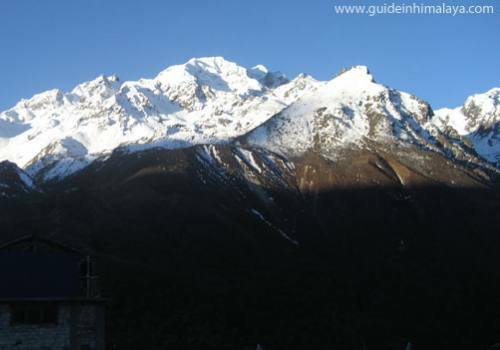 Langtang National Park permit and all necessary permits. Tourist service charge, Vat and TIMS permit. Necessary porters to carry your trekking stuff. Laundry service, phone call, internet and wifi services. 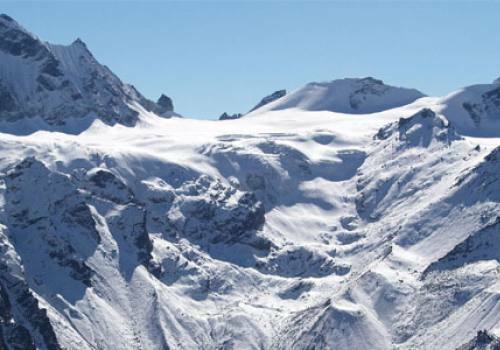 Travel insurance, international air fare to and from Nepal.